If golf is your passion and you’ve never played in Vermont, you are really missing out. 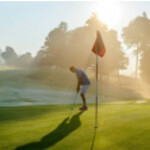 With warm days and cool nights, the Vermont summer weather is perfect for golf any time during the day (unlike destinations where, if you don’t get an early start, you will regret it by the time you finish the first 9.) The courses themselves offer breath-taking scenery, an incredible variety of terrain, and exceptional value. It’s true Vermont is primarily known as a skiing destination, but many of those ski resorts include championship-quality golf courses to lure summer visitors. Check out the “Stay and Play” packages they offer for the best deals. In addition, if you are traveling with the family and not all are passionate golfers, Vermont resorts also provide a large selection of family-friendly activities on the property and nearby. With Stratton’s “Break 100” golf package, two people can stay for just $99 a day and include a round of golf. Some conditions apply, so check Stratton’s website for details. 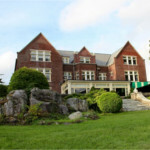 Basin Harbor grew from the oldest operating inn on Lake Champlain in Vergennes to the present contemporary lodge and the charming individual guest cottages. Located right on the lake, Basin Harbor is the perfect summer resort with plenty of swimming, boating, fishing, tennis, and golf. The resort’s 18-hole, Geoffrey Cornish-designed course includes rolling terrain, well-placed bunkers and beautiful contoured fairways. Sanctioned as the first Audubon Cooperative Sanctuary Golf Course in Vermont, the course is dedicated to preserving natural resources and enhancing wildlife habitats. Book a special golf vacation at Basin Harbor and receive accommodations, breakfast for two, and 18 holes of golf (with daily cart). Spring rates start at $179 double occupancy, Sunday through Thursday. Weekend rates available for select dates. Set on the shores of 600-acre Lake Morey, the Lake Morey Resort in Fairlee, Vermont, provides a setting perfect for summer vacationing. 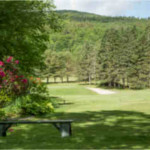 In addition to the expected swimming, boating, and fishing, Lake Morey Resort offers incomparable golf on the course which has been home to the Vermont Open for over 50 years. The par 70, 6024-yard course is impeccably maintained with sweeping fairways and plush greens. Check the Summer Special Vacation Packages to find the best rate for your stay. Package will include overnight accommodations, dinner, breakfast, use of resort amenities, and unlimited greens fees. For a summer vacation that includes pursuits such as fine dining, arts and theater, shopping and antiquing, look no further than Manchester, Vermont. Located in southern Vermont at the foot of Mount Equinox, Manchester is the quintessential Vermont town with a modern infusion. Enjoy fly fishing in the Battenkill or shopping at the unique Manchester shops. Hike or bike the nearby trails. Sample local craft brews at the many bars and restaurants. Manchester has it all – including golf. 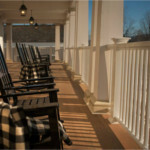 Stay at the historic Wilburton Inn and receive reduced rates for the nearby Golf Club at Equinox. This par 71 course has been named to the “Best in Vermont” list by both Golf Digest and Golfweek. You also have the option of playing at the nearby Manchester Country Club. The Club was actually founded by local innkeepers in 1967 with the purpose of providing their guests a premium golfing experience in Manchester. Or select the Taconic, a Kimpton hotel, in Manchester Village. The Taconic offers boutique hotel amenities including complimentary morning coffee and tea service, nightly social hour, a yoga mat in every room, in-room spa services, 24-hour fitness center, and pet-friendly accommodations. In addition, Taconic guests are also eligible to play golf at the nearby Manchester Country Club. So, if you have never considered Vermont for a golf get-away or a summer family vacation, what are you waiting for? The season is upon us! 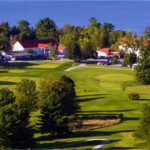 For a full listing of golf facilities in Vermont, consult the Vermont.com Golf Guide. This entry was posted in Activities, Now Trending, Play, Stay, Things To Do, Uncategorized on July 9, 2018 by Linda Warner.